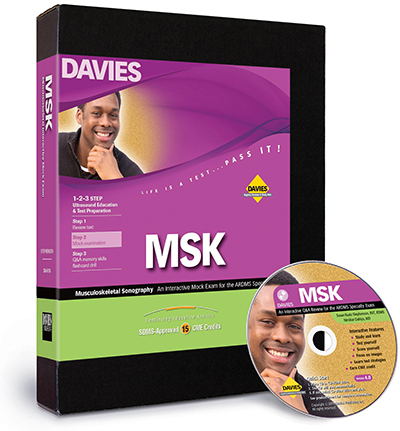 Now you can purchase and instantly download the latest editions of Davies best-selling Interactive Mock Exams and save shipping costs in the bargain. Start studying for the registry exams today, or earn up to 15 hours of CME credit with no delays. It's easy. Click here. 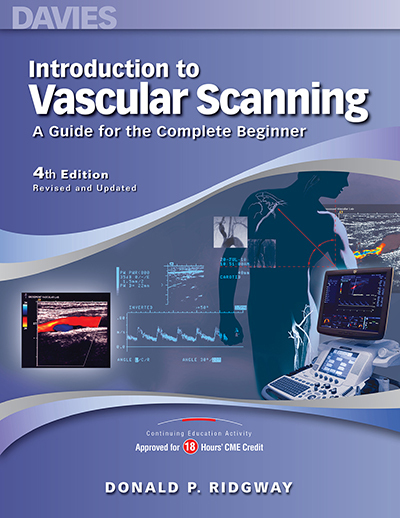 Musculoskeletal Sonography Interactive Mock Exam is now available on CD-ROM or by Download. 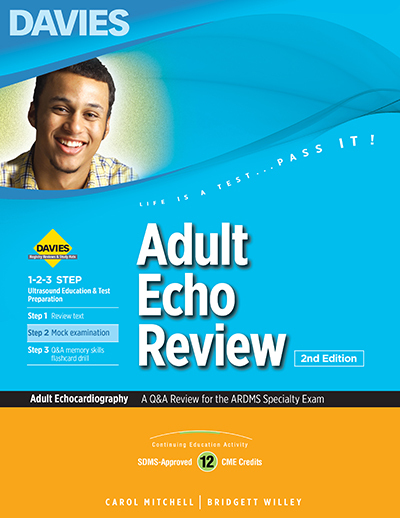 Powerful, featuresome, and fun, this multimedia wonder simulates the ARDMS exam experience right down to the automatic timer, and it delivers CME credit conveniently and inexpensively. Before you know it, you will be preparing for your exams with the latest version of Davies’ state-of-the-art mock exam, written and peer-reviewed by experts and so easy to use that no one has ever called to ask, How do I use this? In fact—dare we say it?—you might even have fun while studying to earn your RMSKS credential. To order the Musculoskeletal Sonography Interactive Mock Exam, click here. 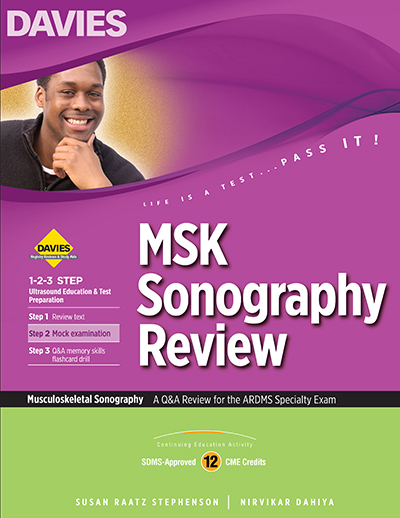 Davies Publishing is excited to announce the release date for Musculoskeletal Sonography Review, Step 2 of Davies 1-2-3-Step Ultrasound Education & Test Prep program, by authors Susan Raatz Stephenson, MS, MA Ed, RDMS, RVT, CIIP, and Nirvikar Dahiya, MD, FAIUM, FSRU. 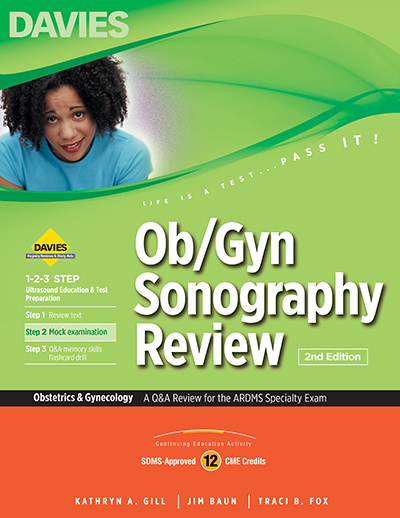 Covering the topics and tasks on the Musculoskeletal Sonographer (RMSKS) specialty exam outline published by ARDMS, this new title contains 571 registry-like questions together with answers, clear explanations, and references for further study. More than 200 images and schematic illustrations prepare you to tackle images, anatomy, and pathology on the exam. 12 hours of SDMS-approved CME credit!! 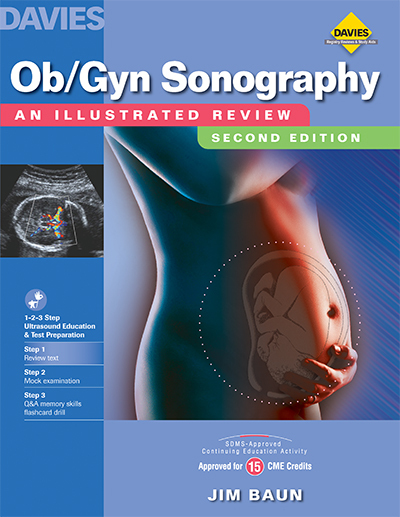 To preorder the new Musculoskeletal Sonography Review, click here. It's not too early to earn CME credits! If your three-year ARDMS continuing education cycle ends December 31st, 2019, 2020, or even 2021, it is never too early to get a head start on meeting your CME requirements. You must determine when your triennium ends* and earn a total of 30 credits by that date. Otherwise your ARDMS credentials may be inactivated—and that would not be a good thing. So now is the time—before you are rushed. 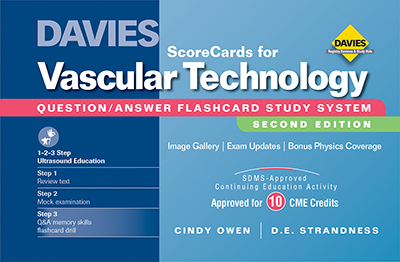 If you or a colleague has a Davies book or other product, complete the CME activity, take the CME quiz, and fax or email your application to us by midnight, Pacific Standard Time on December 31 of your triennium’s deadline year. Davies offers fast, convenient, inexpensive CME solutions. Click here to view CME activities by subject. You can download 30+ hours of SDMS-approved CME activities from our website in minutes here. 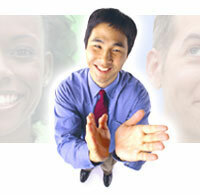 ARDMS’s “Maintain Certification” page at www.ardms.org/Maintain-Certification/CME/Pages/CME. When is your triennium deadline? To check your three-year CME period and view your ARDMS CME Bank, log on to MY ARDMS at www.myardms.ardms.org. Click here for fast answers to questions you may have about our CME program. 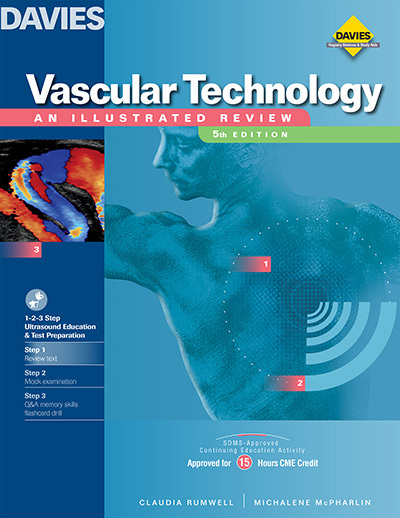 Virtually all of our publications and products are SDMS- or SVU-approved continuing education activities. 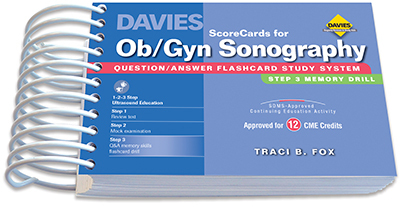 So you might already have a Davies product that you can use to earn CME credit. Inevitably, we have to “retire” old CME activities and CME activities that have been superseded by a new edition. Click here to check CME activities that have recently expired. Click on the image below to view Davies 2018 catalog! Click here to view all Vascular products. 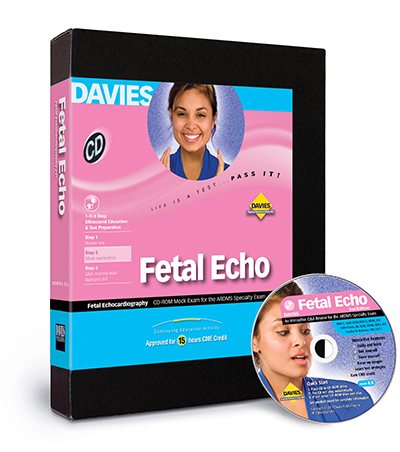 Click here to view all Echo products. 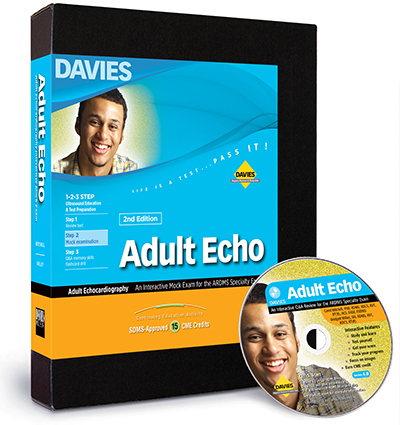 Introducing Davies New College Admissions Test Prep Products! Bookstores and Distributors: Please call for bookseller discounts. 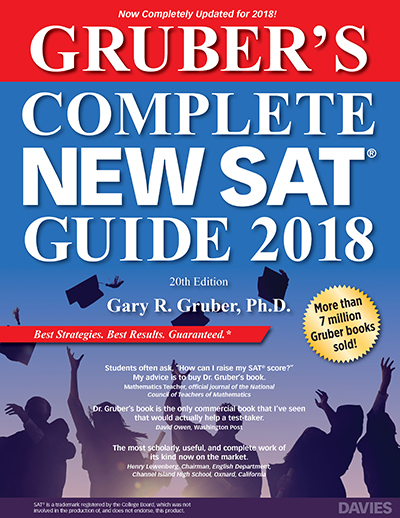 Dr. Gary Gruber has an important message for you! 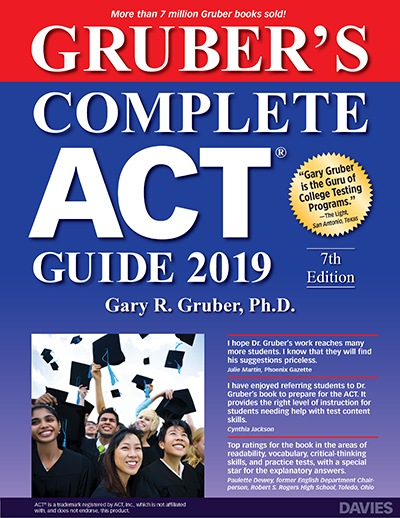 To read this newspaper interview with Dr. Gruber, click here. Life is a testliterally, a series of tests. Some are more important than others. If you are an ultrasound professional, we can help. 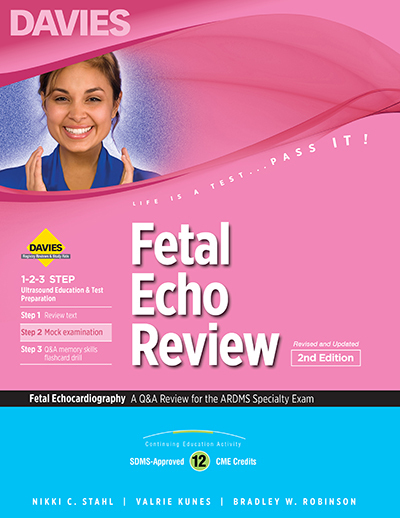 Our best-selling 1-2-3 Step Ultrasound Education & Test Preparation products cover exactly what you need to know to pass your ARDMS or CCI exams, silver-bullet styleanyplace, anytime, at your convenience. Davies registry-prep products are proven performers, continuously updated and improved, and SDMS-approved for CME credit. Are you ready to score? You can! Post-test interviews and QA questionnaires demonstrate that more than 90% of Davies' customers pass on their first attempt. Click here to view registry preparation solutions. Protect your hard-earned credentials and maintain your skills using our fast and cost-effective continuing medical education products and activities. Davies SDMS-approved CME products are designed so that you can meet ARDMS, CCI, ARRT, and IAC continuing education requirements at your convenience, anywhere, anytime. In a jam? Call us. We're CME rescue experts. Shop now for CME products by subject. Your education and clinical training have been our business for 35 years. 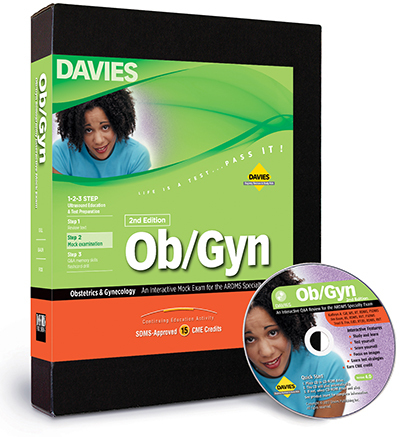 Davies publishes textbooks, protocol manuals, reviews, study aids, CD-ROMs, downloads, and DVDs for every level and learning style. Our educational products are used in DMS and radiology programs throughout the world. At Davies, we are serious about ultrasound education. Search for a particular item. Content you can trust, service you can rely onfrom Davies, specialists in ultrasound for 35 years. "I took my registry in 1995, so I bought the book for CME credits. I wish I had used your book when I was studying. It would have made the experience much better for me."